By early 2014, Nissan's production capacity will eclipse two-million units in the Americas, driven by recently added capacity at its US plants, as well as new facilities in Mexico and Brazil. 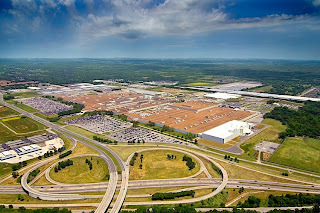 isolate the company from volatility in global currencies, Nissan is rapidly expanding its manufacturing footprint in the Americas region with an investment of more than US$ 5-billion in new plants and increased production volumes. To support this aggressive growth and expansion, the company is adding more than 10,000 jobs across the region, with much of the hiring complete or underway. Nissan has been the market share leader in Mexico for 50 consecutive months and will be further bolstered there by an all-new US$ 2-billion manufacturing complex, supplier park and quality proving ground in Aguascalientes, which is nearing construction completion. During the initial phase of its development, the new complex will support production of up to 175,000 units annually of Nissan's 'B' platform products and complement Nissan's two existing Mexican manufacturing facilities in Aguascalientes and Cuernavaca. Construction is also in progress for an all-new US$ 1.5-billion manufacturing complex in Resende, Brazil, which will have annual capacity for 200,000 'V' Platform vehicles with production slated for the first half of 2014. The first plant of its kind for Nissan in South America will provide much needed production volume to support Nissan's goal for market share growth in Brazil. In 2012, Nissan was the top-growing automaker in Brazil for the third consecutive year. 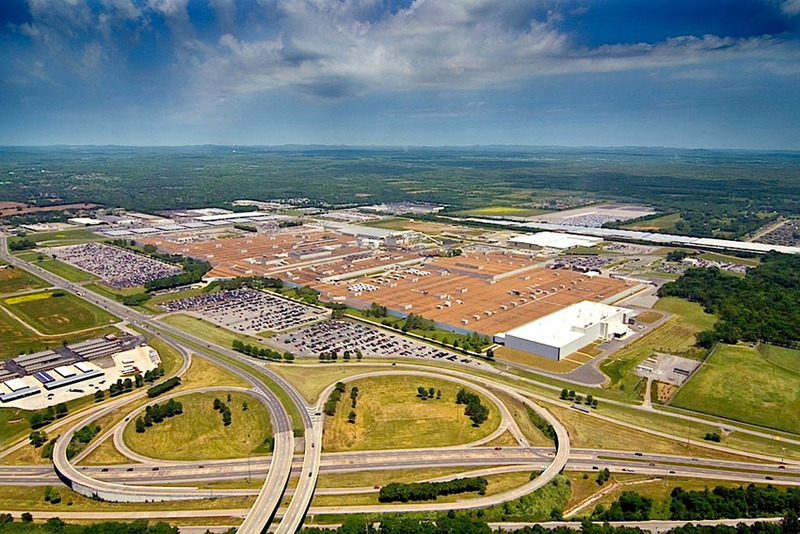 In addition, production of 4-cylinder gasoline engines for Infiniti and Mercedes-Benz models will begin in early 2014 at an all-new Renault-Nissan Alliance powertrain plant in Decherd, Tenn. The project is a joint-venture with Daimler, with an installed capacity of 250,000 units per year.